At least eight people are dead after a driver barreled into a bike path and crashed a rental pickup truck into a crowd in Lower Manhattan Tuesday afternoon. 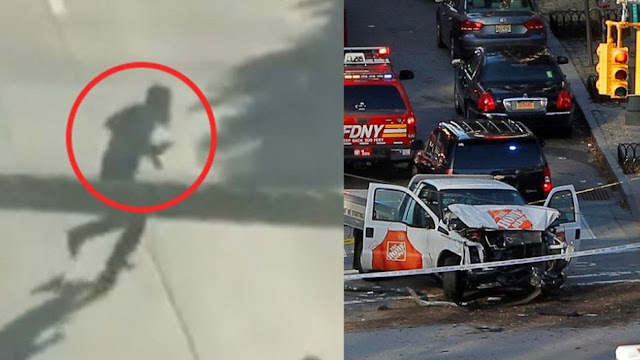 Police have identified the suspect who killed eight people and injured 11 more in New York City on Tuesday when he barreled into a bike path and then rammed a pickup truck into a crowd. The suspected driver, 29-year-old Sayfullo Saipov, shouted "Allahu Akbar" after the crash, law enforcement officials tell Fox News. Saipov, who was shot by police, was taken into custody and remains hospitalized. The suspect was from Uzbekistan and had a green card, a source told Fox News. According to The Associated Press, Saipov has a Florida license but may have been living in New Jersey, and came to the U.S. in 2010. Saipov, according to the New York Post, had notes inside his rental truck that were handwritten in Arabic, "along with either a flag of the [Islamic State] symbol or a smaller picture of the flag." 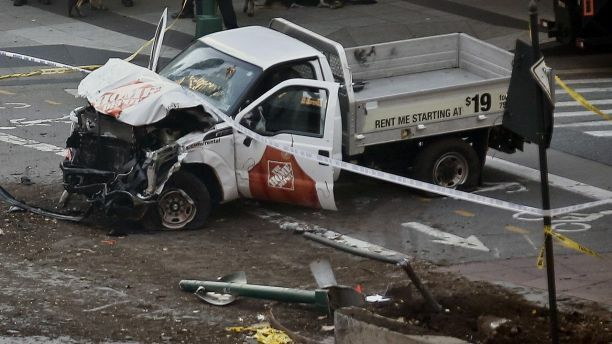 Four of the injured were teachers and students who were riding on a short yellow school bus near Stuyvesant High School when they were hit by the suspect's Home Depot rental truck. One student remains in critical condition. A victim killed in the attack was a Belgian citizen, Belgian Deputy Prime Minister and Foreign Affairs Minister of Belgium Didier Reyners tweeted on Tuesday. Three Belgians were also injured. Others killed in the attack were Argentine citizens, according to Argentina's Foreign Ministry. Argentine newspaper La Nacion reported five of the eight people killed were from Argentina. The incident was being treated as a terrorist attack. At a news conference Tuesday evening, Mayor Bill de Blasio called the attack "an act of terror and a particularly cowardly act of terror aimed at innocent civilians." Gov. Andrew Cuomo referred to the incident as a "lone wolf" attack, and added that at this point in the investigation, there is no evidence to suggest that there was a wider plot. Around the globe, cities have been on high alert regarding vehicle attacks. ISIS has been encouraging its followers to mow down people, and England, France and Germany have all seen deadly vehicle attacks in recent months and years. FBI officials confirmed to Fox News that they have agents responding to the situation with the NYPD. A bomb squad examined the truck, but found no explosives. Acting Secretary of Homeland Security Elaine Duke said in a statement that "DHS and its law enforcement partners remain vigilant and committed to safeguarding the American people." Following the incident, President Donald Trump tweeted, "looks like another attack by a very sick and deranged person. Law enforcement is following this closely. NOT IN THE U.S.A.!" Trump later tweeted that his "thoughts, condolences and prayers to the victims and families of the New York City terrorist attack. God and your country are with you!" Police said the truck entered the bike path on West Street a few blocks from the new World Trade Center -- the site of the deadliest terror attack in U.S. history -- and plowed into several people. The driver jumped out of his rental truck -- which police say Saipov rented from Home Depot around 2 p.m. Tuesday -- carrying what turned out to be a paintball gun and a pellet gun. Video of the attack provided to Fox News by a witness shows the accused suspect running through traffic on the West Side Highway, surrounded by police in the nearby area. Despite the attack, the city's Halloween Parade went on as planned, with police "dramatically increasing presence," including "personnel, blocker trucks, long guns etc.," according to De Blasio's press secretary. Cuomo and de Blasio both attended the annual event. Fox News' Jake Gibson, Catherine Herridge, Rick Leventhal and The Associated Press contributed to this report. Where were Hollywood and D.C. truth tellers with Harvey Weinstein and Mark Halperin? 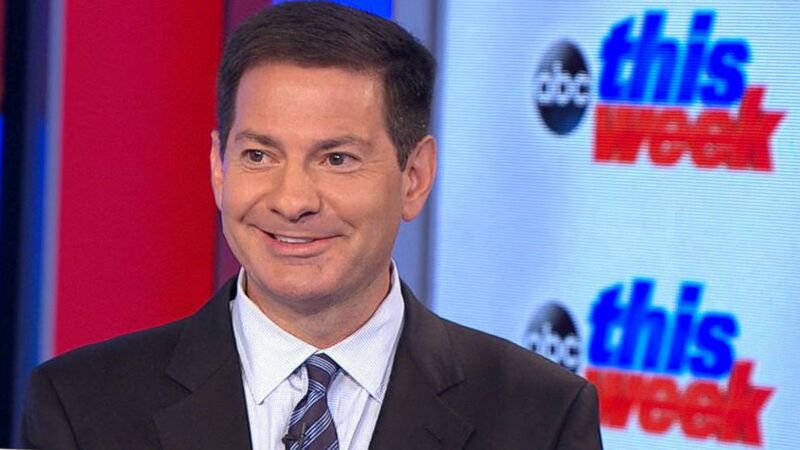 Journalist Mark Halperin was a serial sexual harasser/assaulter. The D.C. press corps is supposed to speak truth to power. But they have a double standard when it comes to industry scandals. “Like firefighters who run into a fire, journalists run toward a story,” MSNBC’s Katy Tur told us. Well, unless it’s a story that reflects badly on their profession or their politics. Then they keep it quiet. As with Harvey Weinstein in Hollywood, sexual assault and harassment by journalists can be an “open secret,” but that just means it’s a secret from the rest of us, one they know, but don’t tell. And Hollywood isn’t about telling the truth anyway. It’s about peddling fiction. There’s nobody in Hollywood — most emphatically including the “entertainment press” — who’s there to tell you the truth. Ah, but the Washington press corps is supposed to be different. They’re constantly telling us that their job is to keep powerful people accountable, to comfort the afflicted and afflict the comfortable, to “speak truth to power.” They suggest that without them, “Democracy Dies in Darkness,” to use The Washington Post’s rather self-important tagline. But, just like Hollywood, the Washington press corps has its own “open secrets.” One of them, according to numerous recent reports, was that journalist Mark Halperin was a serial sexual harasser/assaulter. Halperin was political director at ABC News for many years until he left in and later joined Tur’s own network, NBC. Okay, maybe, despite the “first responder” puffery, the truth is that journalists, like most of us, are ordinary people, not heroes. For ABC people, exposing Halperin while he worked at ABC, where he was important (though nothing like as powerful or intimidating a figure as Harvey Weinstein), might have hurt people’s careers. But what about when he left? Couldn’t they talk then? And what about other media organizations? Well, not everyone knew. The public didn’t know. The viewers who saw him opine — often from a position of moral superiority — on Morning Joe and other talking-head shows didn’t know. The “open secret” was open to the insiders, but secret to the public. And while people who worked for ABC or, later, NBC, might have feared for their careers because their bosses might back Halperin, what of the other media folks who knew about this? Similar behavior on the part of a corporate executive, or a government official, would have drawn plenty of scrutiny. Many journos probably saw this tweet and knew that Halperin was being hypocritical. But nobody reported that. Not just the people who shared an employer, but other journalists, at other outlets, where one would think a story that made a competing news organization look bad would be rewarded. But, it seems, membership in the guild of journalists was more important to the press than telling us that Halperin was a hypocrite on sexual assault. People probably thought — and probably rightly — that a negative report on a member of their own profession would hurt their careers, if for no other reason than that their fellow journalists would resent someone spilling the profession’s open secrets to the public. Which means that, ultimately, the political press, for all its posturing about fearless truth-telling, in practice acts more like an NFL team with a felonious wide receiver, or a corporation with a handsy CEO: More interested in avoiding bad publicity than in telling us the truth. Democracy dies in darkness, indeed. Kevin Spacey is another ‘everyone knew’ — who else does Hollywood know about? Anthony Rapp accused Spacey of coming on to him when he was 14. Will people now believe Corey Feldman about Hollywood abusers? As with Harvey Weinstein, it seems plenty in Hollywood knew all about Kevin Spacey. And even though they kept their mouths shut — ensuring nothing but more entitlement, more boldness, and likely more victims — some of those speaking up are oddly self-righteous. Unlike Weinstein, who’s been destroyed by multitudes, Spacey’s been taken down by just one. Shortly after Anthony Rapp accused Spacey of coming on to him when he was 14, the elder actor attempted to spin the narrative on Twitter. “This story has encouraged me to address other things about my life,” Spacey writes. How lovely that the trauma endured by a child barely into his teens, one that remains ever-present to the now-46-year-old Rapp, has been such a positive in Spacey’s life. 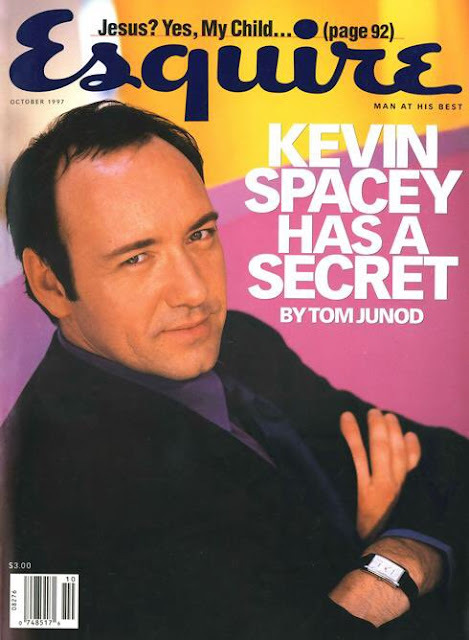 Now, Spacey writes, he has the courage to admit the other worst-kept industry secret about himself: He’s gay. Some media outlets initially bought Spacey’s cynical spin — a dangerous one that conflates gay men with pedophilia. But public outrage online quickly changed those stories from feel-good liberal moment — a 58-year-old actor comes out — to damning indictment. Still, the fact remains: Just as Hollywood knew all along that Weinstein was a sexual predator, it seems many also knew about Spacey. Whom else does the industry know about and protect? It’s hard to recall a time when the cultural landscape has shifted so dramatically. More than ever, the general public is inclined to believe self-reporting victims. More than ever, we are inclined to demand that the accused speak, that guilt be met with real consequence. The next tipping point is one Hollywood may not see coming: Public disgust with those in power who know and do nothing, who knew and still deny knowing. Just ask Matt Damon and George Clooney, who spent all last week denying they knew about Harvey Weinstein (except when they did), only for the public to call out their blatant hypocrisy and reject their new movie “Suburbicon,” which flatlined at the box office. By week’s end, both actors pulled out of their scheduled public appearances. Wonder why. The old ways no longer work. The entertainment media, as a single organism, should refuse publicist demands to keep questions about these scandals off the table. And those who know should speak up now, before it’s too late. With news of yesterday’s indictments of Paul Manafort and his colleague came word that former (minor) Trump campaign adviser George Papadopoulos pleaded guilty earlier this month to making false statements to investigators. In addition, we learned that Papadopoulos has been cooperating with the Mueller investigation. I discussed this story here. I maintained, as I have elsewhere, that even if the Trump campaign had been eager to obtain dirt on Hillary Clinton from Russians with Kremlin ties, that would not be criminal in itself. I’ve never been convinced that it would even be problematic. Papadopoulos’ plea (a stipulation of agreed upon facts) can be found here. As I read the document, it is consistent with the Post’s report that, while working for Trump’s campaign, Papadopoulos tried to arrange a meeting between the campaign and Russian government officials. It is not inconsistent with the Post’s report, apparently backed up by emails, that the campaign rejected the idea of having such a meeting. a. Defendant PAPADOPOULOS claimed that his interactions with an overseas professor, who [he] understood to have substantial connections to Russian government officials, occurred before [he] became a foreign policy advisor to the Campaign. Defendant PAPADOPOULOS acknowledged that the professor had told him about the Russians possessing “dirt” on then-candidate Hillary Clinton in the form of “thousands of emails,” but stated multiple times that he learned that information prior to joining the campaign. because of his status with the Campaign; and the professor told [him] about the “thousands of emails” on or about April 26, 2016, when [he] had been a foreign policy adviser to the Campaign for over a month. b. 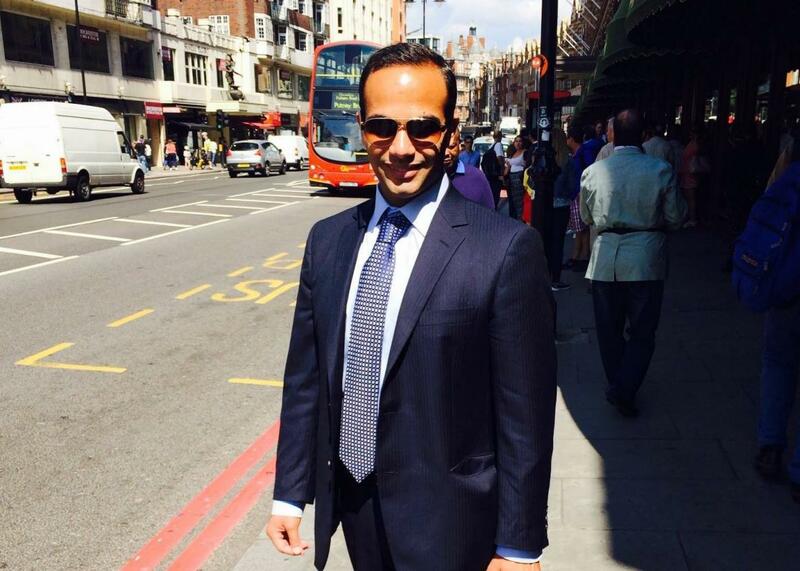 Defendant PAPADOPOULOS further told the investigating agents that the professor was “a nothing” and “just a guy talk[ing] up connections or something.” In truth and in fact, however, [he] understood that the professor had substantial connections to Russian government officials (and had met with some of those officials in Moscow immediately prior to telling [him] about the “thousands of emails”) and, over a period of months, [he] repeatedly sought to use the professor’s Russian connections in an effort to arrange a meeting between the Campaign and Russian government officials. c. Defendant PAPADOPOULOS claimed he met a certain female Russian national before he joined the Campaign and that their communications consisted of emails such as, “Hi, how are you?” In truth and in fact, however, [he] met the female Russian national on or about March 24, 2016, after he had become an adviser to the Campaign; he believed that she had connections to Russian government officials; and he sought to use her Russian connections over a period of months in an effort to arrange a meeting between the Campaign and Russian government officials. Note that Papadopoulos pleaded guilty to making false statements, not to trying to arrange a meeting with Russian government officials. The latter is not, to my knowledge, a crime. A meeting between the campaign and Russian government officials might have resulted in a crime, depending on what transpired. However, there has been no indication so far that such a meeting occurred. The intriguing part of yesterday’s Papadopoulos story is news that he is cooperating with Mueller’s investigation. What has the cooperation consisted of? Providing the investigators with emails, such as the ones that, somewhat mysteriously, were read to the Washington Post? Providing evidence that, contrary to what the Post reported, there were meetings between the campaign and Russians? More intriguingly, did Papadopoulos wear a wire for Mueller in an effort to ensnare Trump campaign officials? Allahpundit speculates about this possibility. At a minimum, the Papadopoulos plea sends the strong message that other witnesses in this matter need to tell the truth to Mueller’s team. It’s not a lesson that should have required reinforcement, especially given the prosecution of Scooter Libby. But there it is. The Paul Manafort indictment is much ado about nothing . . . except as a vehicle to squeeze Manafort, which is special counsel Robert Mueller’s objective — as we have been arguing for three months. Do not be fooled by the “Conspiracy against the United States” heading on Count One (page 23 of the indictment). This case has nothing to do with what Democrats and the media call “the attack on our democracy” (i.e., the Kremlin’s meddling in the 2016 election, supposedly in “collusion” with the Trump campaign). There are twelve counts in all, but those are the two major allegations. The so-called conspiracy against the United States mainly involves Manafort’s and Gates’s alleged failure to file Treasury Department forms required by the Bank Secrecy Act. Specifically, Americans who hold a stake in foreign bank accounts must file what’s known as an “FBAR” (foreign bank account report) in any year in which, at any point, the balance in the account exceeds $10,000. Federal law also requires disclosure of foreign accounts on annual income-tax returns. Manafort and Gates are said to have controlled foreign accounts through which their Ukrainian political-consulting income sluiced, and to have failed to file accurate FBARs and tax returns. In addition, they allegedly failed to register as foreign agents from 2008 through 2014 and made false statements when they belatedly registered. In the money-laundering conspiracy, they are alleged to have moved money in and out of the United States with the intent to promote “specified unlawful activity.” That activity is said to have been their acting as unregistered foreign agents. Even though the Ukrainian money goes back to 2006, the counts involving failure to file FBARs (Counts Three through Nine) go back only to 2012. This is likely because the five-year statute of limitations bars prosecution for anything before then. Obviously, one purpose of the conspiracy count (Count One) is to enable prosecutors, under the guise of establishing the full scope of the scheme, to prove law violations that would otherwise be time-barred. The offense of failing to register as a foreign agent (Count Ten) may be a slam-dunk, but it is a violation that the Justice Department rarely prosecutes criminally. There is often ambiguity about whether the person’s actions trigger the registration requirement, so the Justice Department’s practice is to encourage people to register, not indict them for failing to do so. That is the offense Mueller charges in Count Eleven. But then, for good measure, Mueller adds a second false-statement count (Count Twelve) for the same conduct — charged under the penal-code section (Section 1001 of Title 18, U.S. Code) that makes any falsity or material omission in a statement to government officials a felony punishable by up to five years’ imprisonment. Obviously, one cannot make a false statement on the foreign-agent registration form without also making a false statement to the government. 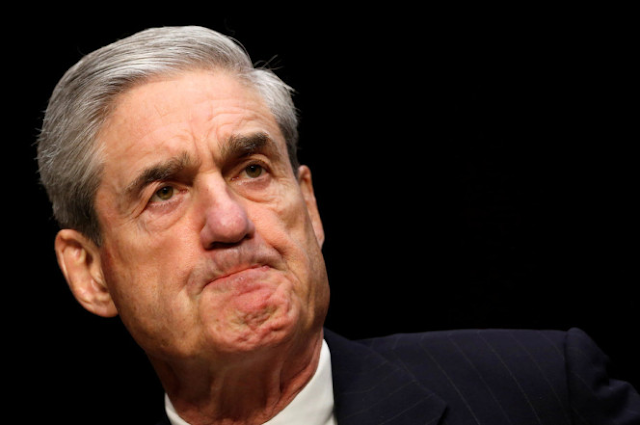 Consequently, expect Manafort to argue that Mueller has violated double-jeopardy principles by charging the same exact offense in two separate counts, and that the special counsel is undermining Congress’s intent that the offense of providing false information on a foreign-agent registration form be considered merely a misdemeanor. Finally, the money-laundering conspiracy allegation (Count Two) seems far from slam-dunk. For someone to be guilty of laundering, the money involved has to be the proceeds of criminal activity before the accused starts concealing it by (a) moving it through accounts or changing its form by buying assets, etc., or (b) dodging a reporting requirement under federal law. Now, it is surely a terrible thing to take money, under the guise of “political consulting,” from an unsavory Ukranian political faction that is doing the Kremlin’s bidding. But it is not a violation of American law to do so. The violations occur when, as outlined above, there is a lack of compliance with various disclosure requirements. Mueller seems to acknowledge this: The money-laundering count does not allege that it was illegal for Manafort and Gates to be paid by the Ukrainian faction. It is alleged, rather, that they moved the money around to promote a scheme to function as unregistered foreign agents, and specifically to avoid the registration requirement. But the prosecution still has to prove beyond a reasonable doubt that the money was the proceeds of unlawful activity in the first place. Moreover, the prosecution must prove beyond a reasonable doubt that Manafort and Gates (a) knew the money was the proceeds of illegal activity and (b) transported the money the way they did with the specific intent of avoiding having to register as foreign agents. This count will thus fail if there is any doubt that the Ukrainian money was illegal under American law, that Manafort and Gates knew it was illegal, that they knew the work they were doing required them to register as foreign agents, or that it was their intention to promote a failure-to-register violation. Even from Paul Manafort’s perspective, there may be less to this indictment than meets the eye — it’s not so much a serious allegation of “conspiracy against the United States” as a dubious case of disclosure violations and money movement that would never have been brought had he not drawn attention to himself by temporarily joining the Trump campaign. From President Trump’s perspective, the indictment is a boon from which he can claim that the special counsel has no actionable collusion case. It appears to reaffirm former FBI director James Comey’s multiple assurances that Trump is not a suspect. And, to the extent it looks like an attempt to play prosecutorial hardball with Manafort, the president can continue to portray himself as the victim of a witch hunt. Podesta is handing over full operational and financial control to longtime firm CEO Kimberley Fritts, according to multiple sources with knowledge of the meeting. Fritts and a senior group of the Podesta team will be launching a new firm in the next one or two days. Sources said the transition has been in the works for the past several months. In the indictment unsealed this morning, Manafort has been charged with violating FARA after failing to register as a foreign agent. The same could be in the future for Podesta. Sources say the former Trump campaign manager and his former business associate Rick Gates have been instructed to turn themselves in as part of the Russia investigation. Much of the political left is cheering about the indictment of Donald Trump’s former campaign manager, Paul Manafort. They think it will undermine President Trump. The problem, though, is that it appears increasingly likely that Manfort’s indictment has nothing to do with the Trump campaign. It is true that Robert Mueller began investigating Paul Manafort based on Manafort’s dealings with the Trump campaign and Russia. But the special prosecutor, like most prosecutors, can go in the direction an investigation takes him. If the investigation goes off the trail of the campaign into a new direction, the special prosecutor can go in that new direction. That appears to be the case here. The federal investigators have been curious about various wire transfers during the 2012 period. Manafort has close ties to both Russian operatives and various other unsavory figures tied into Moscow’s political apparatus. It appears he may have transferred money and accepted payments that he should not have and that he possibly failed to accurate report them on taxes. This is all based on the initial reports that are leaking out. If that is the case, Manafort and his associate Rick Gates are getting indicted for things far removed from the Trump campaign. A talking point already shaping up on the left related to this is that Manafort must have been forced to work for Trump by the Russians. 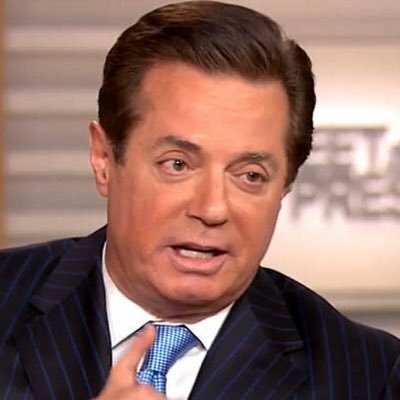 The thinking goes that there is no way Manafort would have wanted to work on so high profile a campaign given his baggage. Someone must have forced him and that someone is the Russians. This seems to be wishful thinking by members of the so-called Resistance who are lost in their fever dreams of Trump hatred. Manafort worked on a number of high profile campaigns and just because you never heard of him before now does not mean he was an unknown or minor figure. Manafort’s indictment in a matter unrelated to the Trump campaign gives the Trump team a new talking point. They had already made a few unflattering statements about Manafort and can now claim that this clears them. The Mueller team looked into the campaign, went down various rabbit holes, and wound up in Manafort’s tax returns circa 2012, well before Trump considered running for office. Therefore, they can claim, there is nothing there with the campaign. It is a believable talking point except for the fact that the investigation continues. Still, this will be a distraction from that investigation as media sharks circle Manafort. One last point to consider here is that the press probably hopes, as some TV pundits are speculating, that Manafort’s indictment is designed to make him squeal about the Trump campaign. That all sounds well and good, but if Vladimir Putin really were involved the chances of Manafort squealing on anybody are really low — and there is no evidence that there is anything to squeal about. But the left’s fever dreams against Trump continue and Russia stealing the election is a necessary component to those dreams. As long as Robert Mueller fails to turn up evidence to show Russia stole the election, the American left will continue to believe in an elaborate conspiracy. It is far easier to believe that than to believe Hillary Clinton ran a terrible campaign. Erick Erickson is a Fox News contributor. He is host of "Atlanta's Evening News" and founder/editor of The Resurgent. He is the founder of RedState.com. Follow him on Twitter @EWErickson. The left is incensed that President Donald Trump is keeping his promise to put America first, return our nation to economic prosperity and restore our national security. 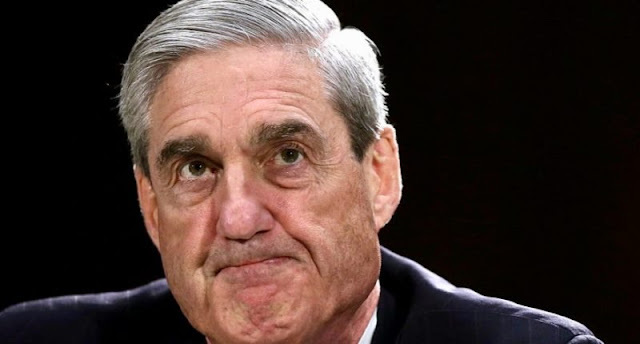 Spearheaded by the illegally-appointed Special Counsel Robert Mueller, the lefties in the “Deep State” have signaled that the first salvo in their quest to destroy the Trump Presidency will be the announcement on Monday of an indictment of—someone. Grand Jury indictments are supposed to be kept secret. Below are articles, which expose the depth to which the anti-American cabal will go to undo an election and thwart the will of the American people. The only man standing between them and us is Donald J. Trump. 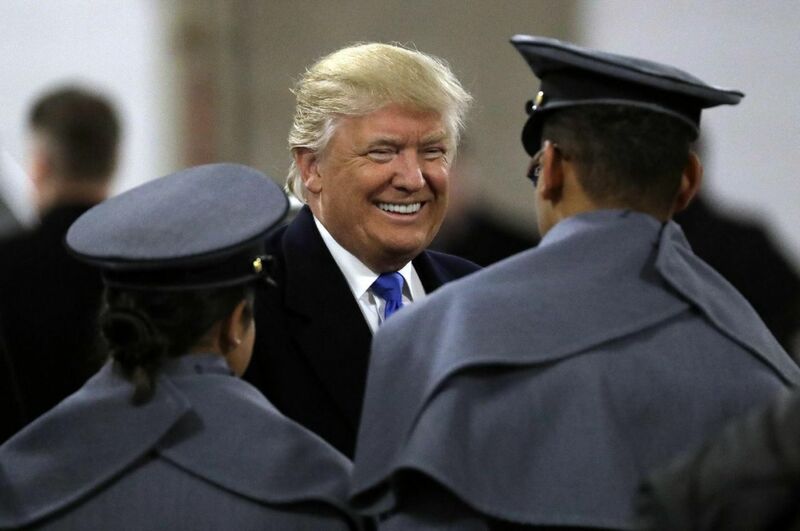 Trump is our champion, fighting for the soul of America, battling the #NeverTrumpers and left-wing political cowards who are hiding behind the shield of a weaponized Justice Department. That became obvious last week when events showed that any honest probe must examine the Obama White House and Justice Department. 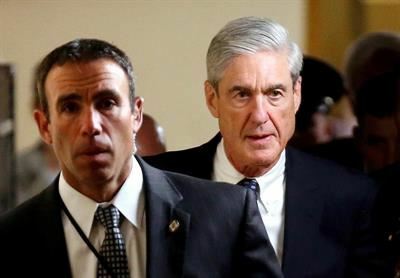 Mueller served as head of the FBI for more than four years under President Obama and cannot be expected to investigate his former colleagues and bosses. But without that necessary step, his work would be incomplete at best. So it’s time for him to say ­bye-bye. The second thing we know for certain is that Hillary Clinton had a worse week than Mueller. Much worse. The revelation that her campaign and the Democratic National Committee secretly funded the discredited dossier on Donald Trump’s supposed connections to Russia rocked the political world. The Clinton connection, denied by the campaign for a year, throws more doubt on the entire Trump-Russia-collusion narrative and shows that Clinton worked with Russian officials to meddle in the election. The Washington Post reported that her campaign and the DNC paid millions of dollars to a law firm, Perkins Coie, which hired a shadowy company called Fusion GPS, which hired a former British spy, Christopher Steele, to compile the dossier, much of which was said to be based on Kremlin sources. The bombshell sent Clinton into hiding, and no wonder. She probably thought three degrees of separation from the dossier would be enough to insulate her. In her absence, her defenders offered a dog’s stew of evasions, half-truths and diversionary attacks. Their claim that nobody in the campaign or the DNC knew anything about the deal doesn’t pass the smell test. When as much as $12 million goes out the window for a document that aimed to win the election — and failed — everybody knows something. While the link to Clinton answers some questions, it raises others. For example, while it is certain her campaign spread the dossier among the media last summer, it remains uncertain whether the dossier was used by the White House and the FBI to justify snooping on the Trump campaign. One hint that it was is that Comey, while still in office, called the document “salacious and unverified,” but briefed Obama and President-elect Trump on its contents last January. And the FBI never denied reports that it almost hired Steele, the former British spy, to continue his work after the campaign. The mystery might soon be solved because the FBI, after months of stonewalling, agreed last week to tell Congress how it used the dossier and detail its contacts with Steele. If the bureau did use the dossier to seek FISA warrants to intercept communications involving the Trump campaign, it would mean the FBI used a dirty trick from the candidate of the party in power as an excuse to investigate the candidate from the opposition party. Somewhere, Richard Nixon is wondering why he didn’t think of that. There is also the issue of the “unmasking” of Trump associates caught up in the snooping, with the names leaked to anti-Trump media. It is essential to investigate that angle, but it would lead right to the Obama White House, which is why Mueller is not the man for the job. As for Clinton, the dossier revelation was not her only new problem. In fact, the second blow might be the most serious yet. At the urging of Congress and Trump, the Justice Department lifted its gag order on an informant who can now testify to Congress about bribery and other wrongdoing surrounding Moscow’s gaining control of 20 percent of US uranium production. The 2010 transaction was approved by Obama officials, including Clinton, then secretary of state. About the same time, Bill Clinton was paid $500,000 for a speech to a Russian bank involved in the transaction. Later, tens of millions of dollars — $145 million by one estimate — were said to be donated to the Clinton Foundation by individuals having a stake in the deal. The informant’s lawyer, Victoria Toensing, told Fox News the speech fee and the donations amount to a “quid pro quo” for Hillary Clinton’s help. “My client can put some meat on those bones and tell you what the Russians were saying during that time,” Toensing said. Clinton called the accusations “baloney,” but that’s what her team said about any connections to the dossier — before the truth came out. Finally, another event is worth mentioning: the release of thousands of files from the JFK assassination trove. There were lots of juicy tidbits, but no final clarity, which raises the horrifying idea that, 50 years from now, we might still be waiting for the truth about Russia, Russia, Russia. And the results were always the same. The Left has been engaged in a war against America since the rise of the Children of the ‘60s. To them, it has been an all-out war where nothing is held sacred and nothing is seen as beyond the pale. It has been a war they’ve fought with violence, the threat of violence, demagoguery and lies from day one – the violent take-over of the universities – till today. The problem is that, through these years, the Left has been the only side fighting this war. While the Left has been taking a knife to anyone who stands in their way, the Right has continued to act with dignity, collegiality and propriety. With Donald Trump, this all has come to an end. 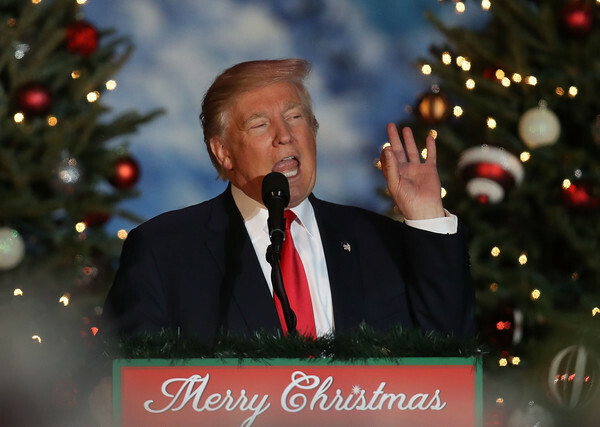 Donald Trump is America’s first wartime president in the Culture War. During wartime, things like “dignity” and “collegiality” simply aren’t the most essential qualities one looks for in their warriors. Ulysses Grant was a drunk whose behavior in peacetime might well have seen him drummed out of the Army for conduct unbecoming. 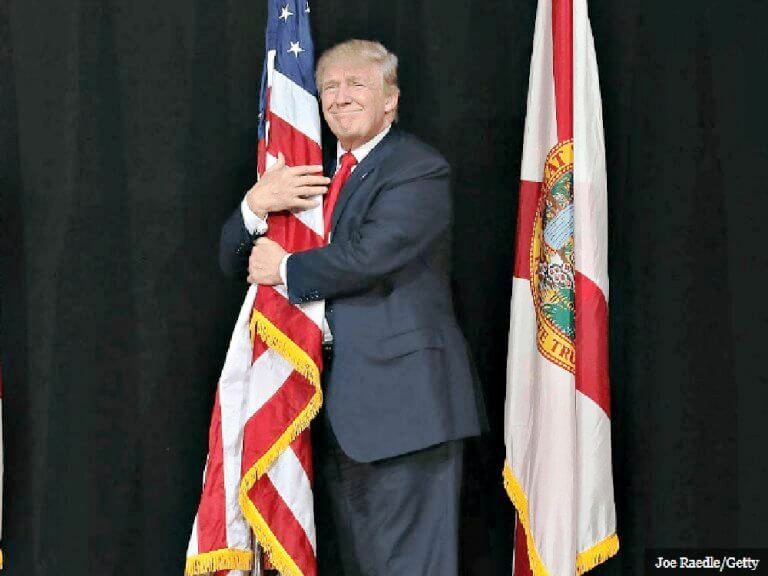 First, instead of going after “the fake media” – and they are so fake that they have literally gotten every single significant story of the past 60 years not just wrong, but diametrically opposed to the truth, from the Tet Offensive to Benghazi, to what really happened on the streets of Ferguson, Missouri – Trump isolated CNN. He made it personal. This, obviously, is what CNN has chosen to do. The problem is that, as they become more and more hysterical, they become more and more obvious. Each new effort at even faker news than before and faker “outrage” only makes that much more clear to any objective observer that Trump is and always has been right about the fake news media. And, by causing their hysteria, Trump has forced them into numerous, highly embarrassing and discrediting mistakes. Thus, in their desperation, they have lowered their standards even further and run with articles so clearly fake that, even with the liberal (lower case “l”) libel laws protecting the media, they’ve had to wholly retract and erase their stories repeatedly. Their flailing at Trump has even seen them cross the line into criminality, with CNN using their vast corporate fortune to hunt down a private citizen for having made fun of them in an Internet meme. This threat to “dox” – release of personal information to encourage co-ideologists to visit violence upon him and his family -- a political satirist was chilling in that it clearly wasn’t meant just for him. If it were, there would have been no reason for CNN to have made their “deal” with him public. So, to my friends on the Left – and the #NeverTrumpers as well -- do I wish we lived in a time when our president could be “collegial” and “dignified” and “proper”? Of course I do. And it’s a war that the Left has been fighting without opposition for the past 50 years. So, say anything you want about this president – I get it, he can be vulgar, he can be crude, he can be undignified at times. I don’t care. I can’t spare this man. He fights. Evan Sayet is the author of The KinderGarden of Eden: How The Modern Liberal Thinks. His lecture to the Heritage Foundation on this same topic remains, some ten years later, by far the single most viewed lecture in their history. Are we a society of cowards or heroes? Why are there more cowards today than heroes? Because it’s easier to take the cowards way out. When we hear the word "coward," we envision those whimpering away out of fear under the guise of convenient escape. But there’s other cowards. Some run from trouble; others run from themselves. Those with no spine avoid taking a stand and slither from sight, rather than join the fight and leave those they promised to support battling on their own. A coward is afraid to question the source of rumors and crippled into inaction. They chasten friends and allies and align with their foe. The fear of the crowd dictates they that lay all moral character to waste, since there is safety with others like them. Heroes courageously seek out the truth. Those who bow to group appeal at the expense of principles are cowards. In today’s world, it’s not uncommon to be forsaken by friends, allies or family. If we choose a moral cause or political side they dislike, forgoing interaction, cowards hide to please the majority. If the cause is unpopular or difficult, they show their jauntiest face to endear the masses. When you reach for support, they can’t be found. The majority over-ruled trust and morality. Cowards do only what’s “safest” for them. There are many despicable acts of cowardness, but none no more contemptible than character assassination. This is the ultimate ad hominem used by a coward to avoid doing what is right or to appease the crowd. Although slander is a punishable crime, it is the coward’s best weapon. They disable someone to discredit their moral standing by destroying their credibility and reputation. Few know the consequences until they are on the outside looking in. It is then they comprehend the damage done by a person or a group that wants to spoliate anyone for their own personal benefit. We are developing more cowards than heroes. It’s a product of our political left DNA, especially in cloistered communities. The righteous morality that made us live in the likeness of our Creator, led us to bravery. But now our politicians produce more cowards each generation through progressive engineering that restricts religious exposure. They restrain free will and regulate moral character to fence in our horizons with immoral laws and dare us to defy them. This is born in our classrooms, invades our families, friendships, workplaces, politics and courts which procreates more cowards. Character assassination involves spreading rumors and innuendos and deliberate misinformation that taints one’s morals and reputation to defile integrity. It is common in our political campaigns today. Spinning information that has a half ounce of truth, but a pound of false actuality is commonplace. Candidates present misleading partial facts, avoiding actual context, to damage an opponent. 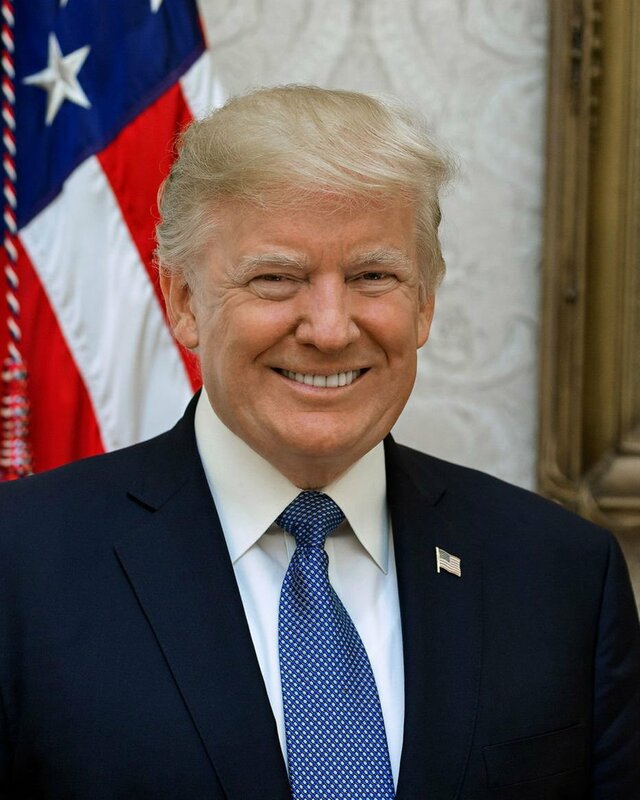 How many times have we heard President Donald Trump "paid too little tax or none at all in a certain year?" Yet that accuser failed to reiterate that he did not owe any taxes. The left claims Trump is a party hack for the GOP when they ganged up with progressives to derail his campaign! The greatest group of character assassinating cowards is traditional media. This has replaced all ethics in their playbook. News headlines claim brutality is prevalent when it involves a minority or a controversial innocent. This is followed by banners about investigators who are dismissive of the facts. The media has become a coward for other cowards. They are a pawn of far left candidates to do their dirty work under the mask of the Fourth Estate. It’s common to spin a progressive talking point into factitious public news. Cowardness has even replaced moral professionalism in our court system today. Our great legal profession has turned into a kangaroo court of insults, false truths and ad hominem insults to deface and destroy the character of the opposed by each attorney. This is far easier than actually practicing the real law of those great orators of ancient Athens and Rome. Enlightenment thinkers illuminated our global horizons. Yet they’ve been the subject of carnage by cowards more than any others in history. They were chastised for setting trends to change the tide of antiquity into futuristic progress. They were scorned for refuting an immoral and cowardly society with laws that deprived men of their natural rights. Some met the gallows and others met the fate of character assassination to silence them. Their reputations endured fatalistic carnage until history exonerated them. 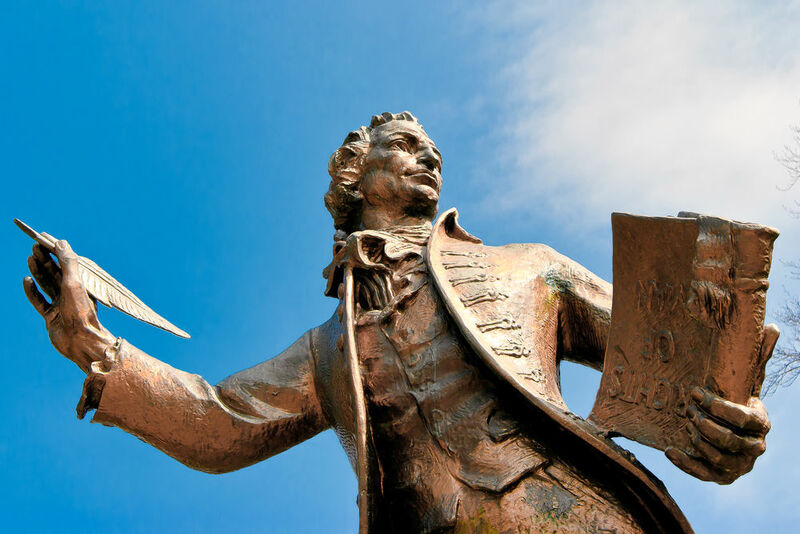 The greatest act of character assassination in history occurred in our nation against the patriot who started our revolution, Thomas Paine. Few know he is not named a founder and was denied entrance to the Convention in 1776 for his opinions on slavery and universal suffrage. Yet without the genius of Paine, we’d be subjects instead of citizens today. Ben Franklin printed his book Common Sense for free, which Paine used to enlighten the patriots. He got nary a shilling for his work, which he read to the war-torn troops during the Revolution. Yet he was banished to France in 1777. He was buried in New Rochelle, N.Y., in 1809, and only eight people attended his funeral. He died forsaken. Those who chasten one’s character covertly or openly achieve temporary goals. To win a quarrel, election or get even with one who thinks differently by tarnishing their reputation has harsh legal and moral emanations. Only cowards of the worst kind stoop that low. And they will pay dearly the very day their victim is emancipated. Today, cowardly indignation is strangling too many feasible solutions to remedy legal, political, social and global injustices. Cowardice destroys while heroism creates remedies. America’s political divisions have transformed our morals and ethics into a graveyard for personal attainment. The distrust we have for government has spread to our communities and every crevice of our lives. Everyone is affected by those using straw men to do their dirty work for them. It’s easier to impute to win than to seek a truth through discourse. They are the first ones to lose their liberty and the last to admit it. Like Rome, we will fall from within through moral decay if those of us who are heroes do not stand up against the cowardly enemies of our beloved republic. All change starts in our own back yards. Top of FormWilliam Haupt III is a retired professional journalist, author, and citizen legislator in California for over 40 years. He got his start working to approve California Proposition 13.